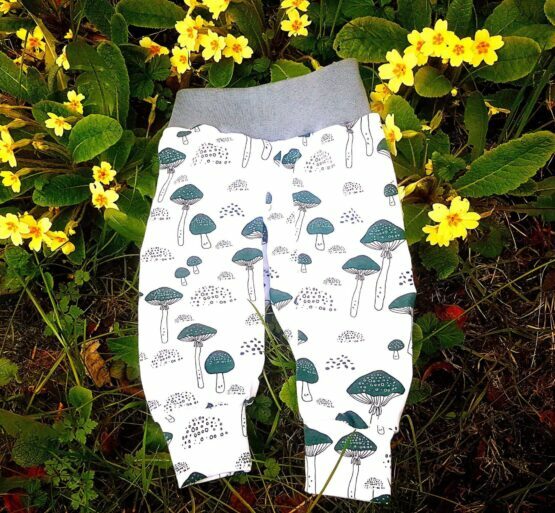 Beautifully soft cotton baby trousers in a fun dark green mushroom print made by my friend Jess Clogg. 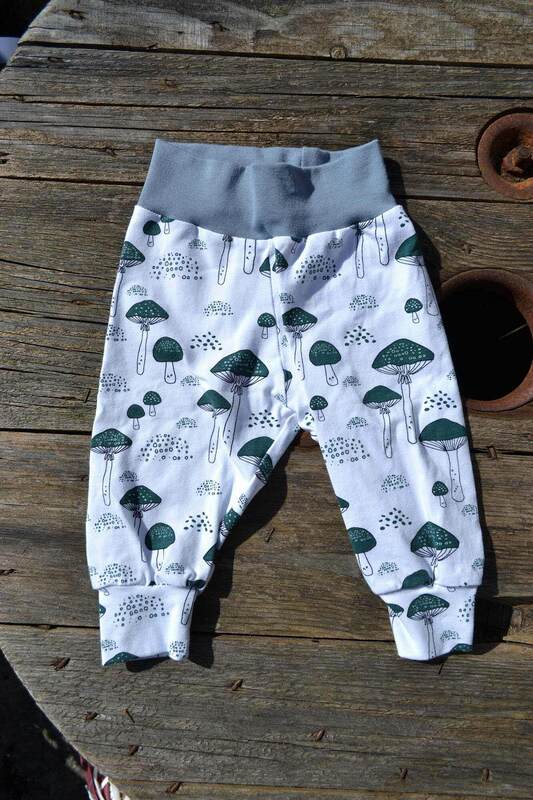 I found this fun fabric and Jess transformed it into these very cute trousers with cuff leg details and contrasting grey waistband. 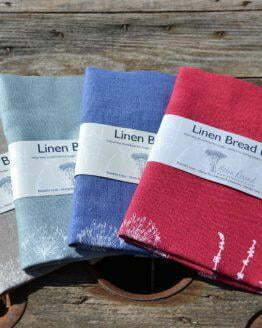 Super soft and stretchy, they last for ages and wash well. 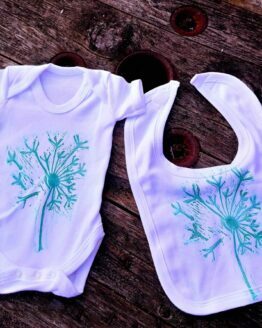 Available in 0-3 months, 3-6 months, 6-9 months and 9 to 12 months, 12 to 15 months and 18-24 months. Please allow 1-2 weeks make time if size isn’t in stock. Material: 95% cotton, 5% elastane. Machine washable at 30 degrees. 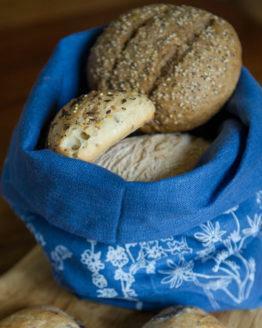 Turn inside out when washing to preserve colour. Jess has never made anything to sell before but has always dreamed of having her own sustainable clothing business. I talked her into making a few pieces for These Two Hands after seeing a pair of beautiful stag print trousers on her little girl Clem at a baby group which I now stock. She hunts down lovely and unique prints in super soft organic fabrics and uses recycled threads. She sews late into the night for friends and now for These Two Hands. There will be more lovely prints coming soon!